H Langstein. In My Hands. The Internet Journal of Plastic Surgery. 2003 Volume 2 Number 1. One of the most fascinating and creative qualities of Plastic Surgery is that there are usually several ways to solve clinical problems and that several may work well. There may actually be several “right” answers, multiple ways to approach defects and deformities, some more appropriate for certain circumstances, some best served for certain skill sets. These concepts is what makes being a Plastic Surgeon so interesting and fresh; but, imagine how it looks to the student, or better yet, the patient. Most patients expect to be given one definitive solution to their problem, rather than a list of alternatives from which they can choose. Perhaps this is a throwback from previous generations when patients rarely questioned medical advice, and doctors underappreciated the patient's ability to sort out which treatment was best for them. Maybe this was true because it was easier for the physician. Regardless, patients expected and received authoritative advice, which was often a simple course of action. Plastic Surgeons of the older era, who still exists to a varying degree, offered solutions that did not solicit significant patient decision-making. Several choices may have been available, but what was offered was what the surgeon felt most comfortable with. There is nothing wrong with this. In many instances, perhaps almost all instances, appropriate and creative plastic surgery was delivered. However, today's patient, fueled by an explosion of available information, is increasingly aware of multiple approaches to plastic surgical problems. Today's Plastic Surgeon must be prepared to discuss multiple solutions to treat a patient's problem, recognizing all the time that patients want to also be told what is the “best” approach. This is where the problem arises. Take breast reconstruction for example. Patients have unprecedented access to information related to the choices available for restoration following mastectomy, leading to the not infrequent situation where many arrive at the initial consultation with their desired technique firmly selected. Patients may have seen web sites indicating that Superficial Inferior Epigastric Artery variants of the TRAM flap are the “best” choices and may become convinced that this is true for them. We have all seen patients shop around for surgeons to perform their chosen procedure because they were told it was the “best”. What is the best operation? At the most basic level, the “best” operation is one that gives the “best result”. This takes into account variables such as capacity of the health care system, risk tolerance of the patient and surgeon, cost, and surgical experience, to name a few. In the case of breast reconstruction, a success is best achieved when the surgeon matches the procedure to the patient, taking into account surgical experience and ability. If a Plastic Surgeon is inexperienced with microsurgical techniques, delaying a TRAM flap can deliver a robustly perfused reconstruction to the mastectomy site. In this surgeon' hands, the patient may receive a “best” reconstruction. The argument can easily be made, however, that a free TRAM is “better” since it is one stage and disturbs the abdominal wall less. For the sedentary patient, this abdominal functional loss may never be noticed, and thus the procedure may indeed be the “best” under those circumstances. Surgeons who have microsurgical capabilities will say that a free TRAM is “better”, and in these circumstances, it is. Better, because their risk of flap loss is only a few percent, and the patient is best served with one operation. Taking this one step further, the argument can be made that perforator flaps are “better” than a free TRAM, and in the right situation, they are. If a surgeon has worked out the factors to select patients for DIEP or SIEA flaps and can consistently provide a well vascularized reconstructed breast, then in their hands, these types of flaps are the “best”. A student of Plastic Surgery may overlook the “in my hands” caveat and assume that since they saw success by one practitioner in one patient, it is translatable to all patients, and more importantly to all surgeons. The public is similarly susceptible to this generalization. 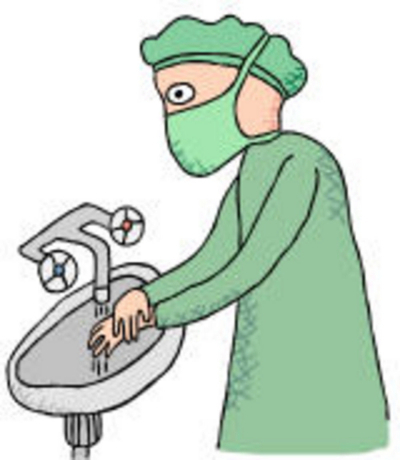 So, when a student or patient asks what is the best procedure for a particular problem, a more complete answer involves adding the phrase “in my hands” after the one you select. Otherwise, those who cannot appreciate the complexity involved in decision making can mistakenly think that only one option existed and it was applicable for all circumstances. Moreover, Plastic Surgeons should rise to the level of self-awareness that they perform some operations better than others. It would be disingenuous, then, for Plastic Surgeons to simply say one is better, without adding the phrase “in my hands”. Howard N. Langstein, MD, F.A.C.S.